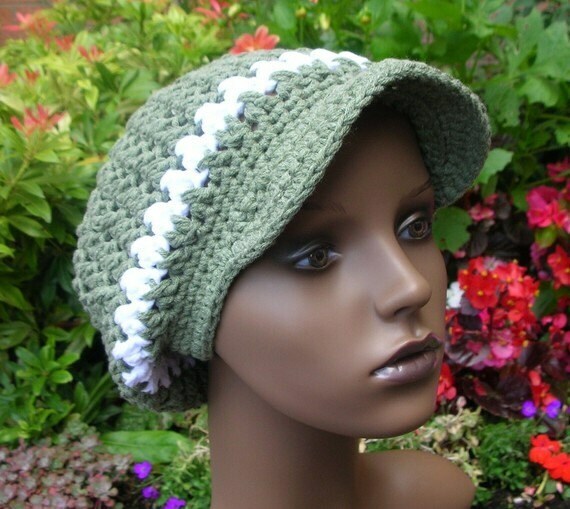 This listing is for a crochet pattern so you can make your own Twisted Slouch Hat. Use aran weight, or two strands of DK weight yarn. There are details on how to make 3 different sizes, and the US and UK stitch versions are included. This hat can be made to fit long hair or dreads, and I've also included instructions to add a peak if desired.